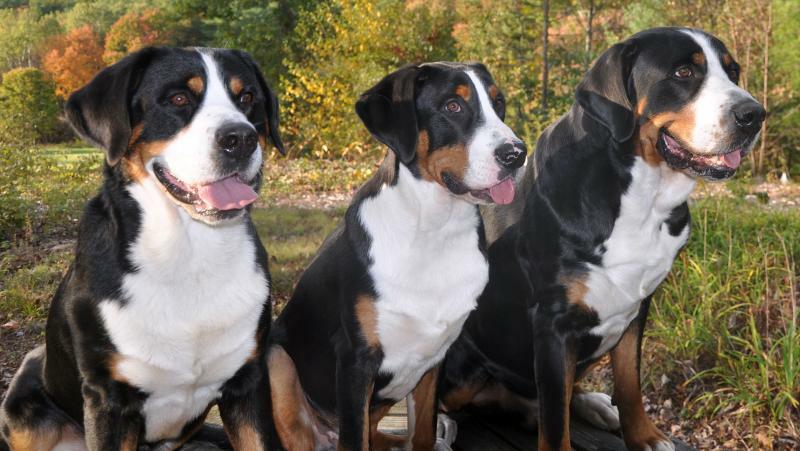 One of the greatest features of a swissy is the number of things you can do with them. The dogs enjoy a number of performance events, including packing, drafting, herding, weight pulling, agility and obedience (rally and traditional). I believe that working dogs should work, actually using your dogs for what they were bred. What do all those letters at the end of the dogs name mean? Generally only the highest level title is listed as the lower ones have to be completed to compete for the higher ones. 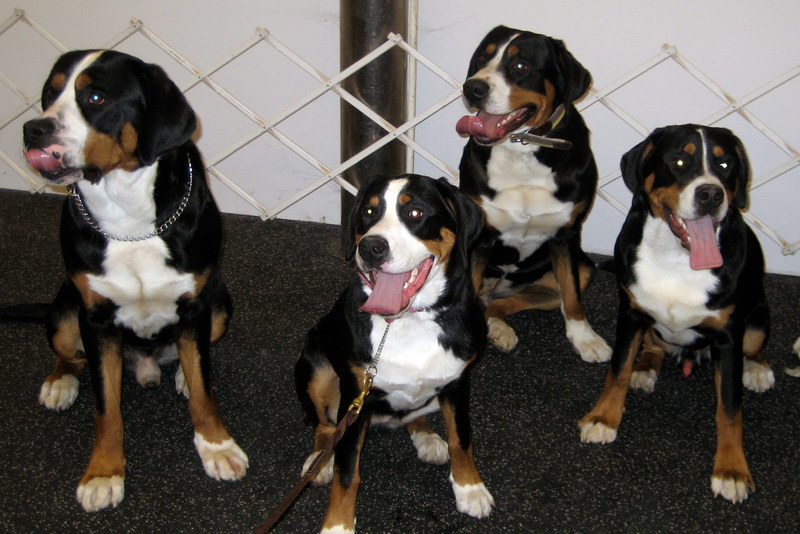 My Dogs train for and compete in Pack Hiking, Drafting, Herding, Weight Pulling, Obedience, Barn Hunt and Agility. These events have individual pages. The year, dog and titles that I have been the handler for are listed below. There is a special program for versatile dogs that the National Club sponsors, Titan, Fury & Fender have one of these titles. 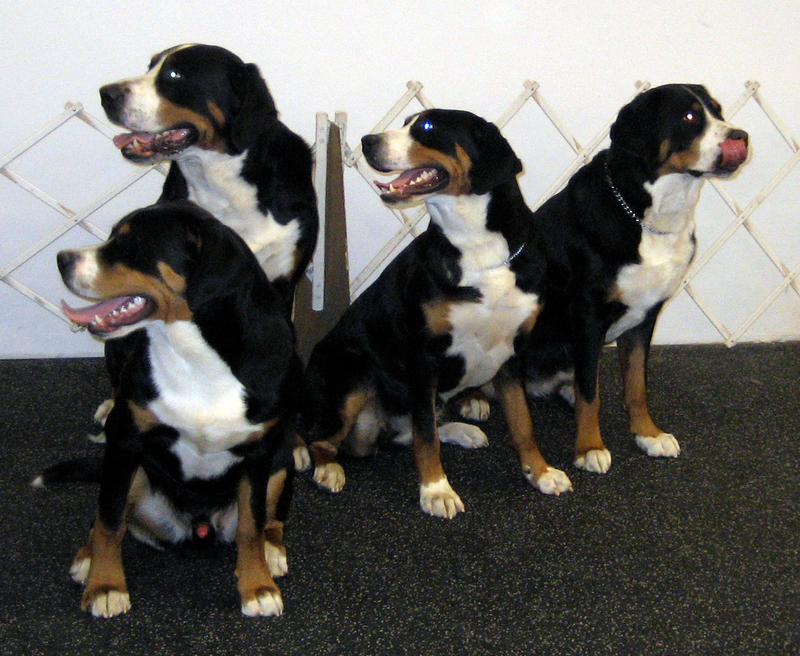 Dog earn a CD obedience title and titles in 3 other areas to get this designation. Hard work for the humans getting everyone to stay. At Dave's after a dog show. Dog's working titles I have been the handler for.